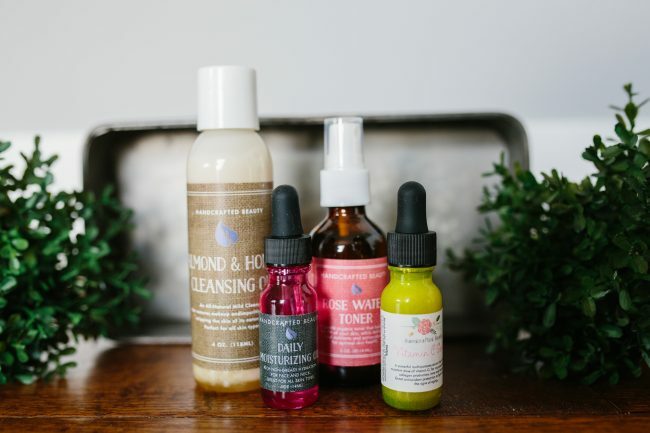 The Handcrafted Beauty Bundle contains our daily skincare essentials, a complete regimen that provides every step you need for healthy, beautiful skin. Our skin thrives with a consistent skincare routine that contains all-natural ingredients that deeply nourish it. It’s very easy to get caught up in the latest skincare craze, promising immediate results. The truth is dramatic results will not happen overnight. With consistency comes visible results. Handcrafted Beauty is offering our 4 essential skincare products, full size, at a discounted price. Designed for all skin types and sure to deliver undeniable results.